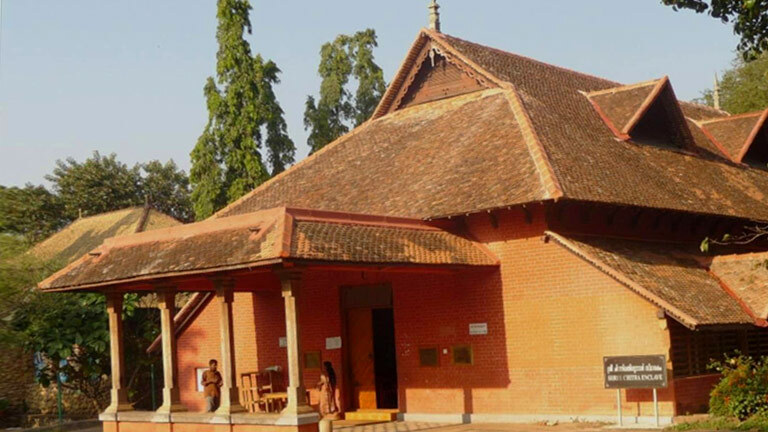 Sree Chitra Enclave, located at Museum Compound in Thiruvananthapuram, is a personalia museum started functioning in 1993, in memory of Sree Chithira Thirunal Balarama Varma (1912-1991). He served as the last Maharaja of Travancore. This museum depicts the history of Travancore royal family and recalls their enriching contributions to the growth of Kerala. It highlights the landmarks in the evolution of the Travancore State and its geographical and socio- cultural history. The museum displays include the chariot used by the Maharaja and Amma Maharani, medals, stamps, coins, swords and other belonging of Maharaja. A series of narrative Mural paintings unveil interesting and informative real stories of the past.